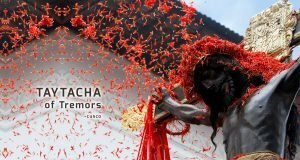 This article was posted on Tuesday, December 29th, 2015 at 12:46 am and is filed under Tours of Peru. Of the many reasons people visit Peru, Machu Picchu is certainly the most famous. The greatest of the ruins left behind after the fall of the Incan civilization, the ancient temple can be found at the end of the Inca Trail, a winding path through the mountains. The trip is hardly easy, but it’s certainly a rewarding one. If you want to make sure you get the most out of your visit to Machu Picchu, however, there are some steps you should take before hand. Peru is often divided into three geographical regions – the costa (the dry, arid flatlands near the country’s western coastline on the Pacific ocean), the selva (the jungle area to the east where the Amazonian rainforest crosses the Brazilian border), and the sierra, the highlands of the Andes and the surrounding mountains. Machu Picchu and the Inca Trail are located squarely in the sierra section of the country, which means that it is located at a very high altitude that most visitors won’t be accustomed to. At elevations as high as Machu Picchu’s, the air is noticeably thinner, making it harder for the body to get the necessary amount of oxygen. 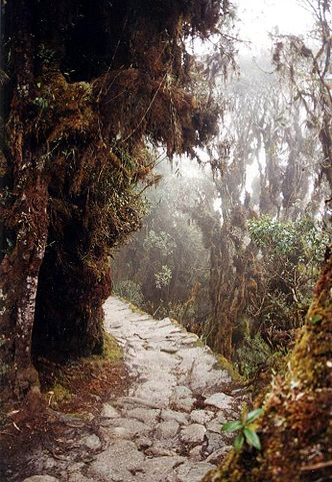 The change in atmosphere can come as quite a shock if you’re not prepared for it, and the combination of low oxygen levels and the physical exertion of climbing the mountain leaves more than a few tourists gasping for breath and too exhausted to finish the trip (this happens often enough that locals have nicknamed a section of the Inca Trail “The Gringo Killer”). If you’re planning on making the trip to Machu Picchu, it’s a good idea to prepare yourself by getting acclimated. If there are areas around you with higher elevations, take a few day trips to see how the change affects you. Even if you don’t have any mountains near you, it’s still a good idea to do some physical preparation – running, walking, or jogging are all a great way to build up physical strength. The Inca Trail is a trip that involves a lot of hiking up and down mountains, often on narrow paths and rough, ancient stone stairs. To successfully make the days-long trip, you’ll need to bring the right clothing. Perhaps most importantly, you’ll need a pair of light but sturdy hiking boots, ones that are strong enough to handle the trip but comfortable enough to wear for several days straight. Next, you’ll also want to bring a jacket or windbreaker that offers a fair amount of protection from the elements, but that isn’t too bulky that it will get in the way or make hiking uncomfortable. Lastly, bring a wool cap – even during the summer months, the peaks around Machu Picchu can be quite chilly. If you’re like most visitors to Machu Picchu, you’ve booked your trip as part of a tour package through a travel agency. There are many travel organizations that offer trips to Machu Picchu, and each of them offer different packages with their own sets of included features. When you reach the mountain to begin the trip, however, the travelling groups will often be made up of a combination of different travel agencies’ customers. That means that even though you’re all in the same travelling party, many of you will have paid for travel packages with different features. For example, some tour packages will include paid meals at different stops along the trail, while others won’t – if you want to make sure you get everything you paid for, bring your itinerary and a list of everything you paid for with you on the trip. Need to book your trip to Machu Picchu? Contact Best Peru Tours for great deals on Peru tour packages today. Residents of US and Canada call 866-788-5647.